The Charlotte Stone Crabs returned from the All-Star break to pick up right where they left off, winning. The Stone Crabs defeated the Jupiter Hammerheads 8-1 on Monday night at Roger Dean Stadium. 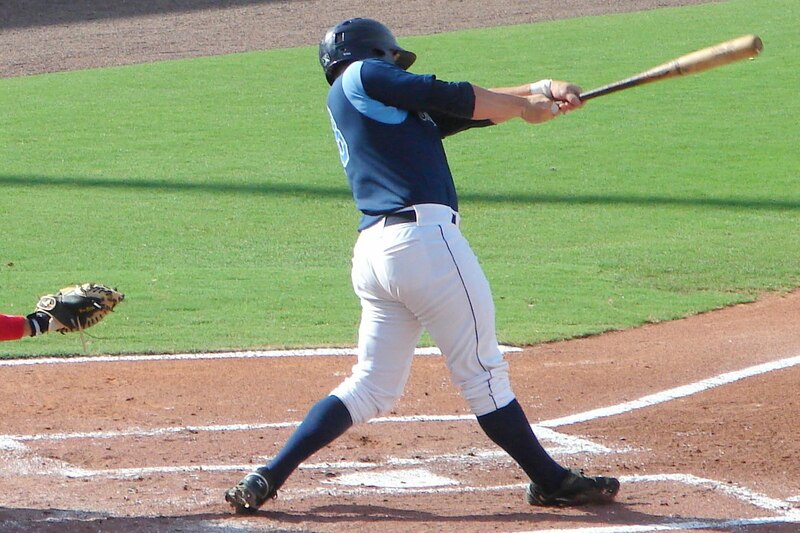 The offensive combination of Stephen Vogt and Henry Wrigley continued to drive the Stone Crabs offense. Vogt was 3 for 5 with 3 RBI’s while Wrigley knocked home 2 runs to tie the club record for RBI’s in a season with 45. This was all in support of another fine performance by Shane Dyer on the mound. The Stone Crabs struck first in the third inning. Five consecutive base hits by Tim Beckham, Vogt, Wrigley, Jake Jefferies and Greg Sexton fueled the rally. Wrigley, Jefferies and Sexton recorded the RBI’s to give the Stone Crabs a 3-0 lead. They added another three runs to their tally in the fourth inning. Matt Hall doubled to left then scored on a single by Isaias Velasquez. Velasquez moved into scoring position on a single by Beckham. Vogt drove the runner home with a single to left field. Beckham would later score on a single by Wrigley to give the Stone Crabs a commanding 6-0 lead. Jupiter would score their lone run in the bottom of the fourth. Seth Fortenberry tripled to right then scored on a ground out by Daniel Pertusati for the Hammerheads only run. The Stone Crabs offense struck for the final time in the eighth inning. Reid Fronk and Beckham drew walks combined with a single by Velasquez to load the bases. Vogt plated both runs with a single to center to give them the 8-1 margin of victory. Dyer earned his third win of the season by pitching 6 innings and allowing 1 run on 8 hits with 3 strikeouts and a walk. Michael Jarman completed the final 3 innings, no runs on 2 hits with 3 strikeouts and recording the save. The win combined with Bradenton’s loss has given the Stone Crabs a three game lead over Bradenton and Palm Beach as we get closer to the end of the first half of the season. The series against Jupiter continues Tuesday night with Matt Moore (1-7, 6.08) taking the mound against Johnny Dorn (2-3, 4.86). DIFFERENT TOPIC~but I don't know where to post this question. Where are the rosters for Hudson Valley and Princeton? The players are already at the hotel in Fishkill, so they know who's coming...but no information seems to be posted this year. Is there a site that has posted this information? When we get the official rosters we will post them. Other returnees to the Hudson Valley are Elias Otero, Devin Fuller, Bennett Davis and Kevin Chavez. I was curious also about the short season rosters because I have been hearing rumors here and there of assignments. I searched over the weekend for rosters and came up empty. The rosters on the official team sites and MiLB are from last season. I try to stick to the facts and stay away from rumors and speculation, so when the rosters are made official, one of us will be sure to pass them along. ANy word yet on where Malm, Glaesmann, and Bailey are going yet? I've heard HV, but wouldnt really suprise me if they put 2 or all 3 in princeton. Regarding rosters: Still nothing official regarding roster. I have made a request to both clubs and have not recieved anything yet. My guess is they are waiting for special events that may be scheduled an then officially release them but nothing certain. I would have to take a guess that the three you mentioned would probably start in Princeton, but thats just a guess. Regarding Wrigley: I agree 100% that Wrigs deserves a promotion. I thought he should have started in AA and def made the jump over Sweeney. He has proved himself time and time again, its time that the organization recognizes this and makes the move. He can play multiple positions and there is no doubt about having one of the hottest bats in the organization, why not move him up? Malm, Glaesmann, and Luke Bailey are all going to be in Princeton.